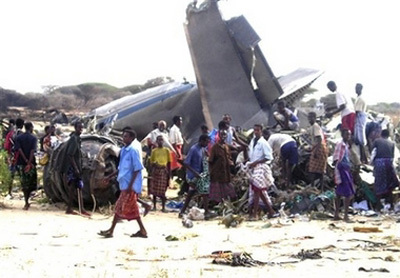 Just after takeoff, while overflying the sea, the aircraft was hit by a missile fired by rebels on a boat. 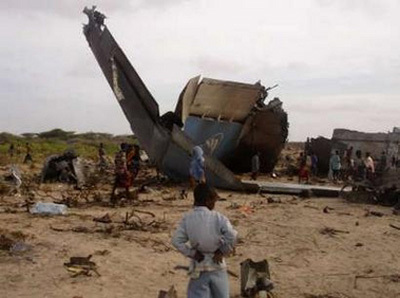 One wing detached and the crew tried to return to the airport but the aircraft crashed in the eastern outskirts of Mogadishu. 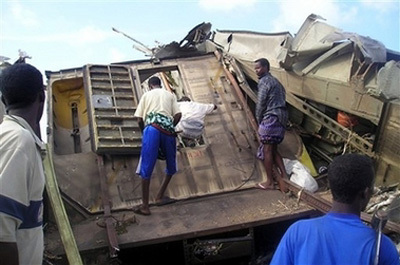 All 11 occupants were killed. 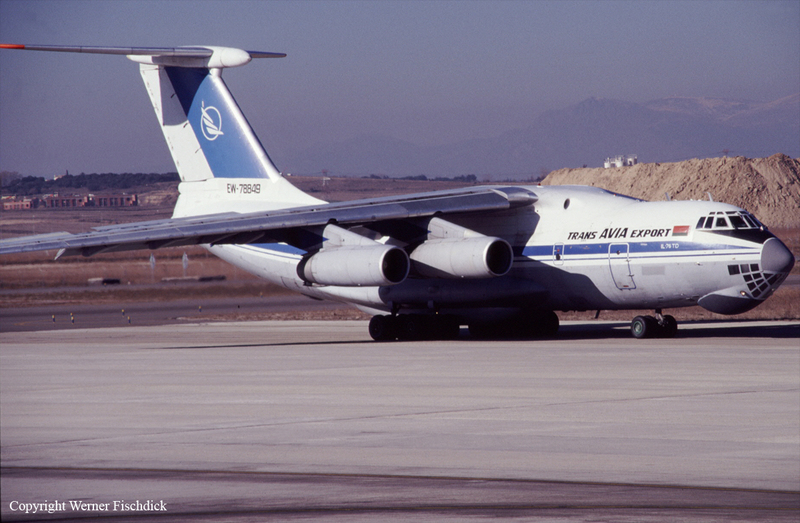 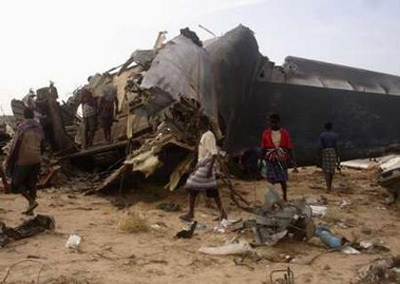 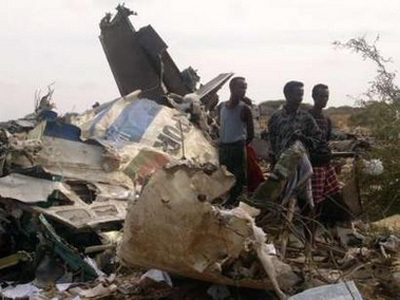 Aboard were 4 technicians of the Belarus operator Trans Avia Export who came to Mogadishu to recover pieces of the previous II-76 (EW-78826) damaged beyond repair last 09MAR2007.